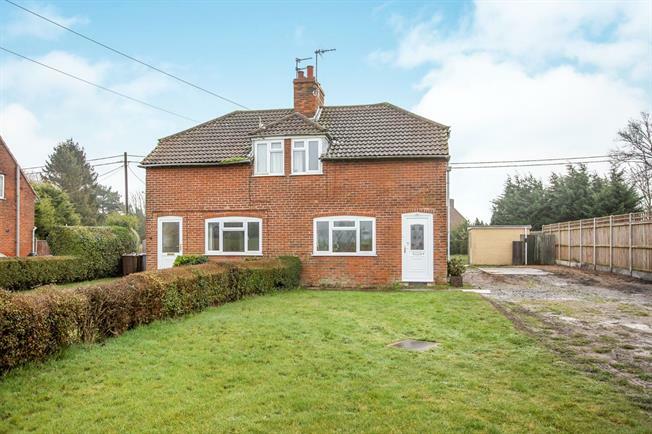 2 Bedroom Semi Detached House For Sale in Norwich for Offers in excess of £210,000. This home offers entrance hall, dining room, sitting room, kitchen, garden room to the ground floor. The first floor has two bedrooms and the bathroom. The rear garden is generous mainly laid to lawn and enclosed. The front garden is lawned with a driveway. Double glazed door to front, double glazed window to side, stairs up and door to dining room. Double glazed window to the front, chimney breast, door to sitting room. Double glazed window to the side, opening to kitchen. Wood burning stove. Double glazed window to the side, sliding door to garden room. Range of units, space for cooker, sink unit. Double glazed window to the side and rear, double glazed doors to the rear out to the garden. Double glazed windows to the side, doors to two bedrooms and bathroom. Double glazed window to front overlooking the fields, built in cupboard. Double glazed window to side, panel bath, wash hand basin, wc. Splash backs. Lawned garden to the front with driveway to the side, the rear garden extends to some 0.39 acres (sts). Lawned with mature inset trees.